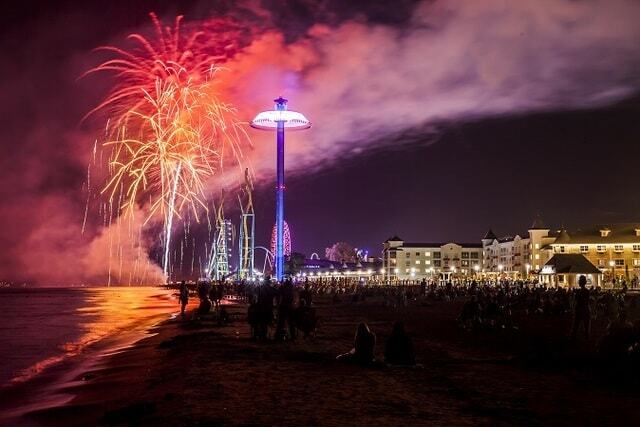 The sky above Cedar Point came to life Saturday night due to a spectacular fireworks display that took place over the park’s mile-long beach. The patriotic program was choreographed to music and included a nighttime skydiving performance by Fastrax Professional Skydiving. Park guests also enjoyed extra ride time on Cedar Point’s 71 rides, including 17 roller coasters.